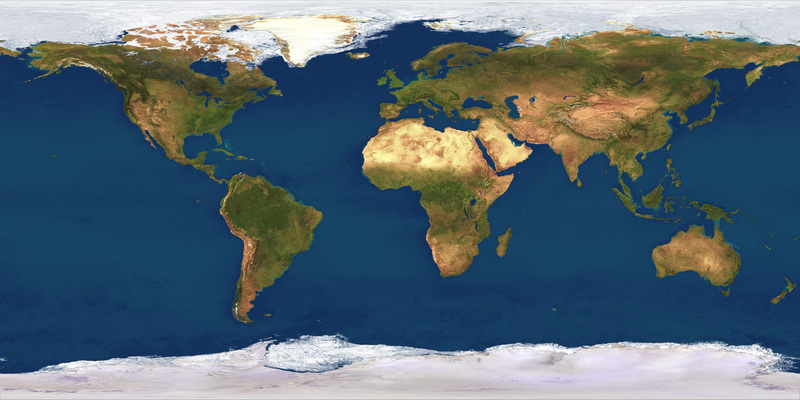 The high-resolution World coverage Satellite map, with a pixel resolution of 4 km for any location in the world, is 10,800 x 5,400 pixels in overall size - 167 megabytes of data in 24 bit RGB color. Printed as a poster it would measure 72 x 36 inches at 150 dpi, or 36 x 18 at 300 dpi. This map can be used with the Illustrator EPS vector map to build a composite world map with geo-political features.